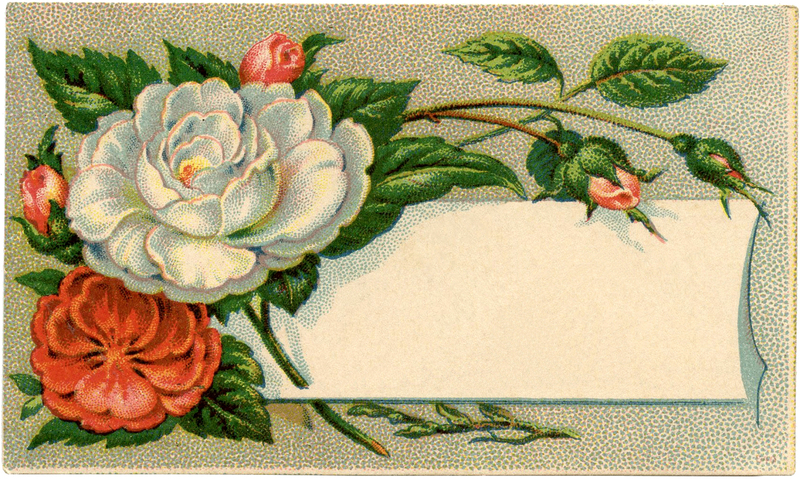 Antique Floral Calling Cards – 4 Lovely Images! 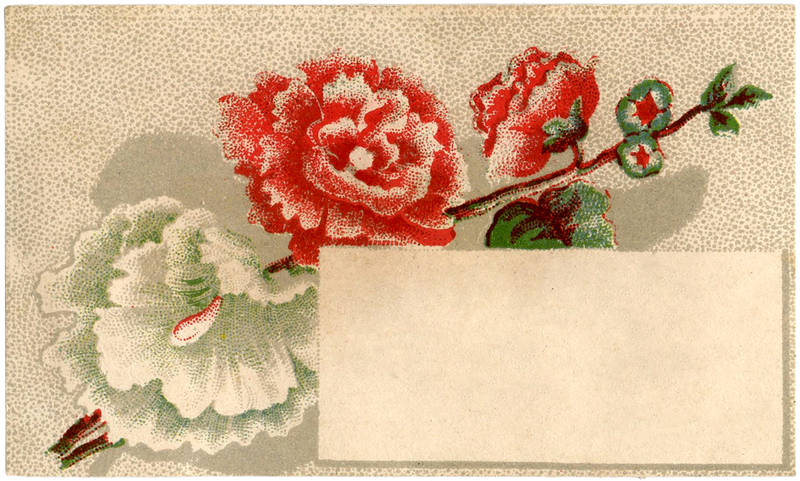 Today I’m sharing these 4 Beautiful Antique Floral Calling Card Images! These cards are from my collection. The illustrations on the cards include, Flowers and a couple of Bees and they each have a light dotted background. They make wonderful decorative Labels or Gift Tags. And if you are into the Junk Journal craze, then you probably already know that these are perfect for tucking into a little journal pocket. I love collecting these types of smaller treasures, so keep your eye out for more of these on my blog. This first image may be an old Calling card or perhaps even a Business card, but I think it makes a great label! Shown above is an image of some lovely Red and White Roses, framing up a blank white area in the center. The center blank portion is the perfect spot to add a little text. 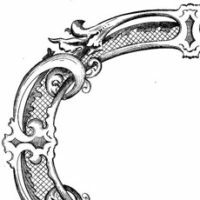 This is a classic looking Victorian graphic that is still plenty useful for today. I think this would also make a cute Gift Tag or Journaling card, you could write on the front or the back! Next in line is this charming Rose Calling card. It features 2 lovely soft Pink Moss Rosebuds with a pale blue dotted background. 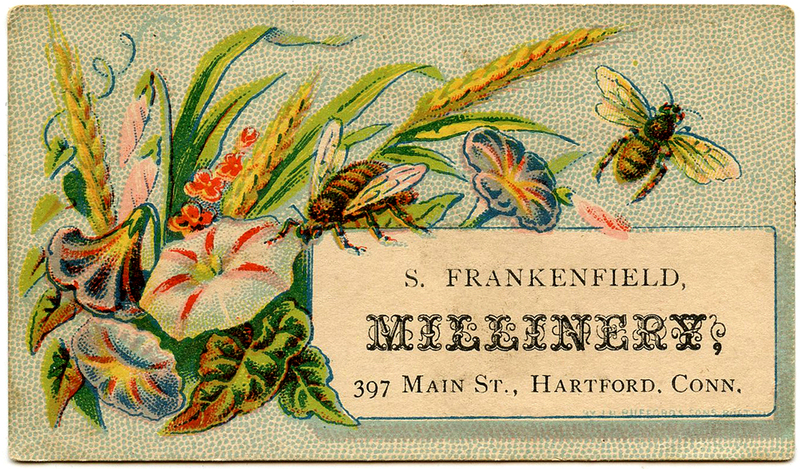 This one was used as a business card for a Millinery shop in Connecticut. I first scanned and posted this one way back in 2007, when I didn’t have a clue about resolution. I have rescanned it for you here at a much higher resolution and it should be a much better quality image for you now! If you downloaded it before, please update your files with this more recent version. This was another one that I rescanned for you at a higher resolution, as it was included on that same post in 2007, as the one above. It’s hard to believe that was 11 years ago already! Anyway, this little charmer of a card was a Victorian business card for the same Millinery shop as the one above. I love the cute little bees on this one, and the pretty Morning Glory flowers. There are a few bits of wheat tucked into the mix as well. 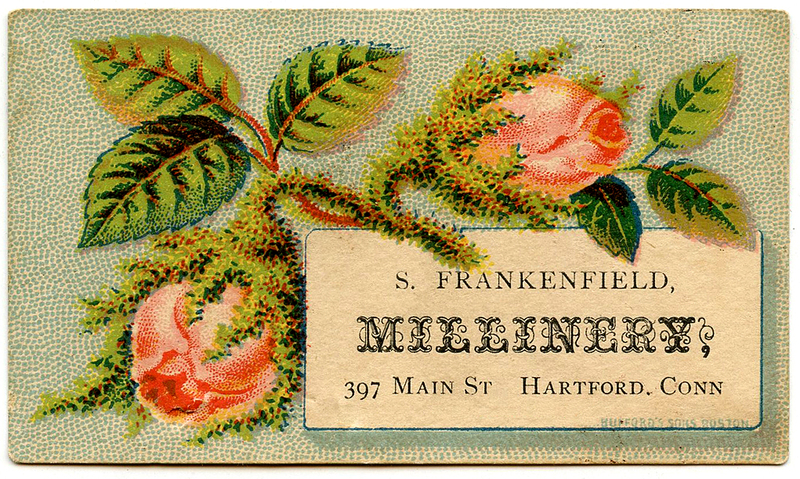 Last, but not least, is this little Antique calling card, showing some super pretty pink and white Hollyhock flowers. There is a perfect little blank space on the front of it, where you can add your own text. This one is perfect for a little make shift Gift Tag, just punch a hole and add a pretty ribbon. Or use it as a label. It might make a cute little love note, for tucking into someone’s lunch box too. If you like vintage flower images we have lots more of them on our 50 Favorite Flower images post Here. « Fascinating Vintage Speckled Guinea Fowl Image! Thank you, for this wonderful floral image. I will be using it! I would Love to know how to put some of your different Calling Cards Images on one 8 1/2 x 11 and print them off all on one page… ant tutorials anywhere on how to do this?